Call today for a free, no obligation quote. We deliver on what we promise, every time! Ranges Tree Services’ owner and operator David has always considered providing courteous and prompt customer service to be the backbone of the company and he knows how important it is to provide the right service to customers the very first time. The amount of work derived solely from referrals over the years has been key to the firm’s success and why our advertising spend has always been so low. We always take pride in our work and follow through on our promises! With over 15 years experience, Ranges Tree Service is the right choice. While you are in good hands, you can rest assured that all our work is insured. 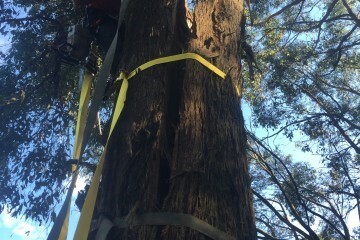 Rangers Tree Services stand behind safe tree removal. Our highly trained tree removal experts can give you a free on site consultation. We deliver on what we say every time. Removing unwanted stumps allows you to re-plan your area to suit your new needs, from redesigning a new garden shed to creating an entire new garden. 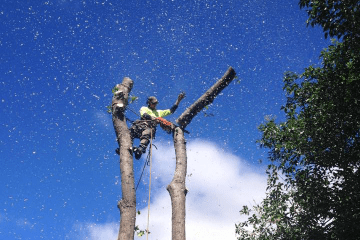 David and the team know that when you’re looking for a firm that provides tree pruning in Healesville, the tree’s health, shape and aesthetics are most important. Ranges Tree Service is a professional tree removal company. 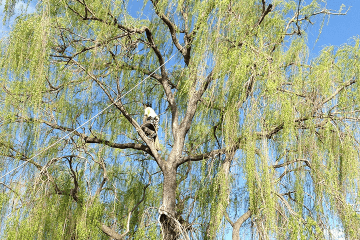 We aim to provide professional tree care to the highest of Australian Standards. We provide services to domestic clients throughout East Melbourne. 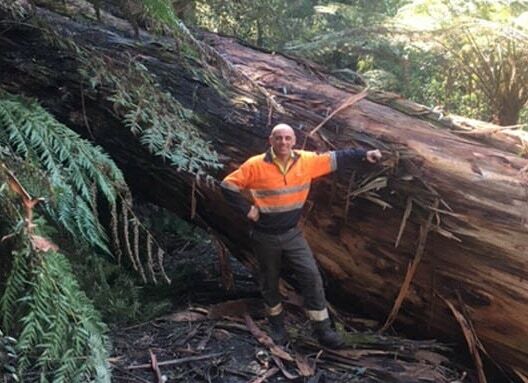 We used David Pace from Ranges Tree Service to take down an old chicken shed and clear the area at our property in Toolangi. We cannot recommend David highly enough. He was quick to provide us with a quotation and arrived promptly the day we had organised for him to do the job. We left David and his team at work and when we came home later, we couldn’t believe how quickly they had had worked and how neat and tidy the area was. It was a fantastic job undertaken efficiently and carefully, just as we were promised. 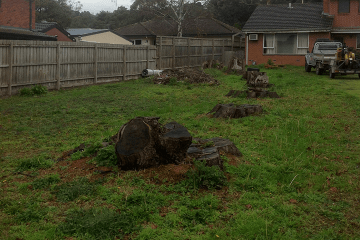 Ranges Tree Service maintains our large garden at our property in Toolangi. David consults with us well before the day that work needs doing. We discuss what has to be undertaken and he advises us on one-off-jobs that may require attention. Last time, David noticed that our solar heating panel on our roof for the swimming pool, was not working correctly. Sure enough, he quickly found the fault and undertook repairs and now it’s working beautifully again. 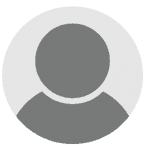 We can’t recommend David highly enough – he’s very reliable, prompt and careful with all the work he does. He always does a follow up phone call to check that we are happy with everything. David and his team were fantastic to deal with, I was very impressed with David’s ability to listen and understand exactly what we wanted, then translate that to his team to deliver the perfect result. Ranges Tree Services were very organised, provided great communication and completed the works in a professional and timely manner. Dave and his team were thoroughly professional from the first phone call for a quote through to wrapping up the job. I really appreciated him being able to turn the job around so quickly, going the extra mile and finishing ahead of time. I was further blown away that he went above and beyond, mulching a number of other fallen limbs with foliage on the block, and even went to the trouble of grinding a couple of smaller stumps. The area was cleaner when he left than it was when he arrived! If you want a quality job done by a reliable, hard working, no nonsense professional you’d be mad to go passed Ranges Tree Service. I am writing to offer my sincere thanks for a job well done. Removing the lower limbs from all those towering cedars along our driveway was no mean fete, your guys worked hard for two days and did an outstanding job without so much as a scratch to our roof! They were very professional and the place was left neat and tidy with all the logs stacked and the lesser limbs and leaves mulched. What a difference it has made, we can see the sky and are enjoying some extra sunshine. I can’t thank you enough and would highly recommend your service. I called Ranges Tree Service for help when one of the largest trees on our mountain was blown down across our driveway. Dave was able to respond quickly, assess what was needed and then get the right people with the right skills, experience and equipment on the job. Dave kept me informed throughout the process and then followed up to ensure I was completely satisfied with the result. I would highly recommend Dave for his professional approach and look forward to dealing with him again in the future. Dave and his team were fantastic, they not only did a professional job but were very helpful and placed logs where my husband needed them just to help him out. I highly recommend Ranges Tree Service and would certainly hire them again. Thank you Dave, Sam and team. I had David and his team at my property 3 times over 20 years and he has always delivered. His explanation on how the job will be tackled, helped me to understand the risks involved and how the team work like Trojans to complete all work on time. I would have no hesitation in recommending David and his team to deliver what they promise. They were amazing to deal with which is a change compared to some of the other tradesman out there.